We are a fairly new small business that makes a variety of handmade products from new and repurposed materials. 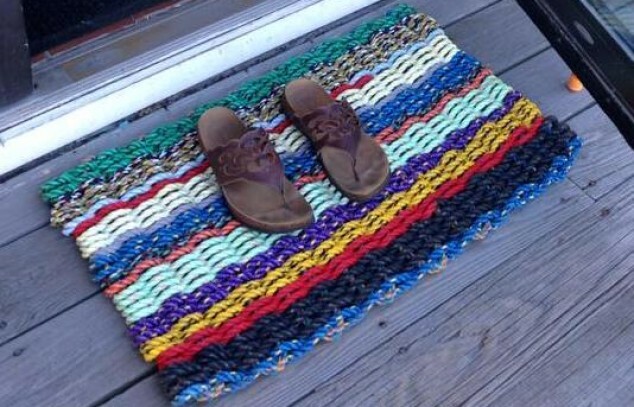 We offer rope doormats in both new rope and repurposed Maine lobster fishing rope, pet supplies such as leashes, collars and toys made from both new and repurposed materials, and small wood items picture frames, baskets, business card holders, and games all made from the wooden runners found on the bottom of Maine wire lobster traps. This wood is very unique as it shows where small sea creatures and worms burrowed into the wood while the lobster traps were on the bottom of the ocean.